Like the other communities in the Cowichan Valley, North Cowichan has become increasingly concerned about making itself more environmentally, socially and economically sustainable. This past term that has been some disagreement about what the Official Community Plan says about development as well as some concern expressed about the location of the urban containment boundary. The OCP that sets out a vision and values to guide future decision-making. First among its five key principles -- "sustainability." Part of keeping our municipality sustainable is looking after our assets. Council has a capital fund reserve, currently just over 12% of property taxes, designed for maintenance of assets and equipment replacement. This reserve is designed to keep our recreational facilities and equipment in good shape, without having to borrow money to do so. It is expected that early in the next term Council will embark on a comprehensive review of the Official Community Plan. I believe North Cowichan could be offering so much: public transportation, low-impact recreation, local food security, affordable housing, smart development in our vibrant growth areas, clean water, clean air, sustainable forestry practices, green businesses and well-paying jobs. 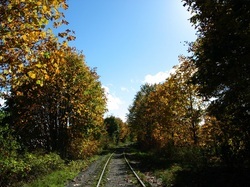 If we have to grow, I want North Cowichan to attract people who love it here and want to protect what makes it special. Let's work together to leave a legacy for our children and grandchildren. - Work to balance the needs of today with the rights of future generations to a healthy, resource-rich environment. - In every decision to assess whether or not a particular course of action is the sustainable one. - To support the long range plans that have been laid down in the OCP and the CAEP.